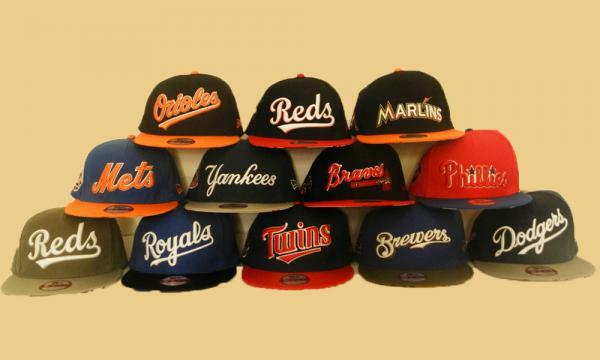 Track and field is a hugely popular sport where the participants must possess skills in running, jumping and throwing. There are different kinds of events in this sport, like the sprint, middle and long distance event, hurdling, jumping events of different kinds, throwing events, etc., as well as combined events. Track runners largely contribute to fetching several medals during every season or major tournaments like the Olympics, to every country. Track runners are extremely popular around the world. They display exceedingly brilliant speed and focus on the track. Here is a list of Top 10 Track Runners in the World. 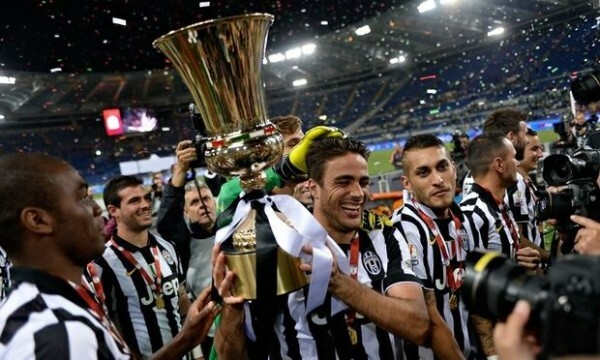 Let’s take a look at their achievements. 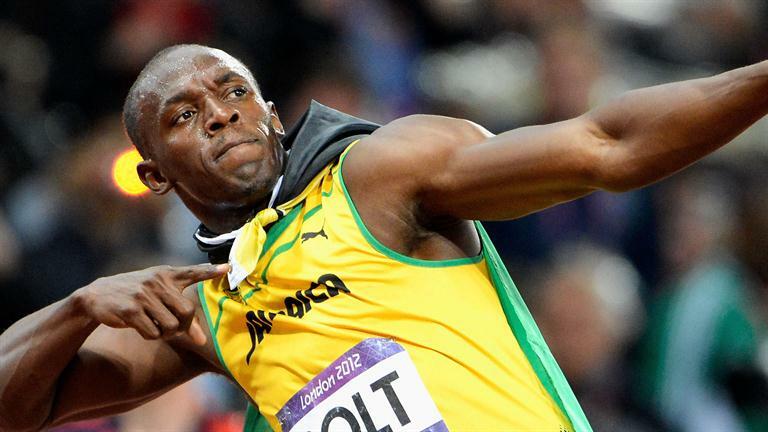 Jamaican sprinter Usain St. Leo Bolt is widely considered by many as the fastest person ever. His achievements on track earned him the nickname “Lightning Bolt”. Since automatic time measurements came into the picture in 1977, Bolt is the first person to hold both the 100 meter and 200 meter records. He is an eight-time World champion and also the first sprinter to win six Olympic gold medals. Bolt won the 100 meter and 200 meter titles at consecutive Olympics in 2008 and 2012, and became the first sprinter to achieve a “double double”. He is the highest paid sprinter of all time and was named the world’s most marketable athlete. Bolt became one of the most successful athletes in the 30 years athletic history after he achieved three gold medals at the 2013 World Championships. Bolt was named IAAF World Athlete of the Year five times, Track & Field Athlete of the Year twice and Laureus World Sportsman of the Year three times till now. 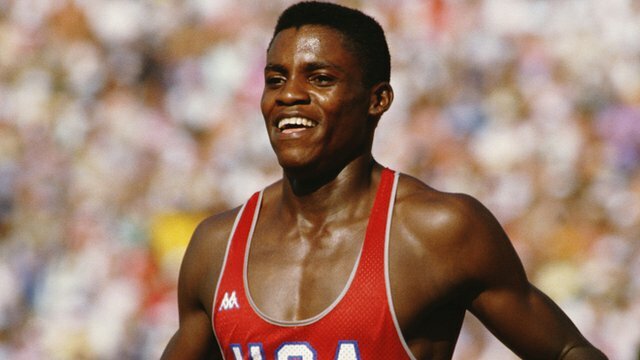 Former American track and field athlete Frederick Carlton “Carl” Lewis won a total of 10 Olympic medals which include nine gold medals, and he also achieved 10 World Championships medals in his active sprinting career from 1979 to 1996. He holds the world record in the indoor long jump since 1984 and also previously set the world record for the 100 meter, 4×100 meter and 4×200 meter relay events. Lewis achieved 65 consecutive victories in the long jump which is one of the longest undefeated streaks in sports world. He broke the 10-second barrier 15 times in the 100 meter event and 20-second barrier 10 times in 200 meter events. Lewis was named Athlete of the Year by Track &amp; Field News thrice consecutively. He was voted as the Sportsman of the Century by the International Olympic Committee and was named Olympian of the Century by Sports Illustrated. Lewis was named World Athlete of the Century by the International Association of Athletics Federations. Former American track and field athlete James Cleveland “Jesse” Owens was here with us since his birth on September 12, 1913, till he died on March 31, 1980. He is a four-time Olympic gold medalist and was recognized as “perhaps the greatest and most famous athlete in track and field history”. He set three world records and equals another at the 1935 Big Ten track meet in less than an hour which is widely regarded as “the greatest 45 minutes ever in sport”. 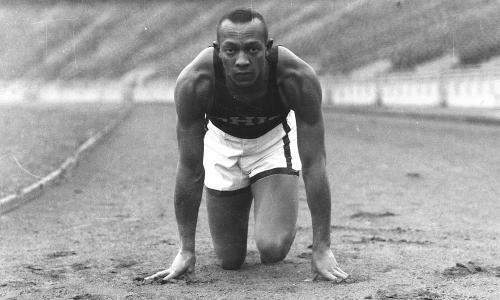 Owens achieved four gold medals in the 100 meter, 200 meter, long jump and 4×100 meter relay events at the 1936 Berlin Summer Olympics. Highest accolade in the Track and Field for the year’s best sprinter in the United States was named after him as “The Jesse Owens Award” in his honor. Owens was named the sixth greatest North American athlete of the twentieth century by ESPN. retired American sprinter Michael Duane Johnson eight World Championships gold medals and four Olympic gold medals in his active track and field career, and is widely regarded as one of the greatest sprinters in the track and field history. He holds the world record in the 400 meter event and also holds the Olympic record for the same event. Johnson previously held the world record in the indoor 400 meter and the Olympic record in the 200 meter event. His 19.32 seconds record timing in the 200 meter event at the 1996 Summer Olympics stood for more than 12 years. Johnson achieved both the 200 meter and 400 meter dash events at the 1996 Atlanta Summer Olympics. He also achieved eight gold medals at World Championships besides his Olympic success. His achievement at the 1996 Olympics is regarded as the greatest track and field moment of the last 25 years. Johnson was inducted in the United States Track and Field Hall of Fame in 2004. 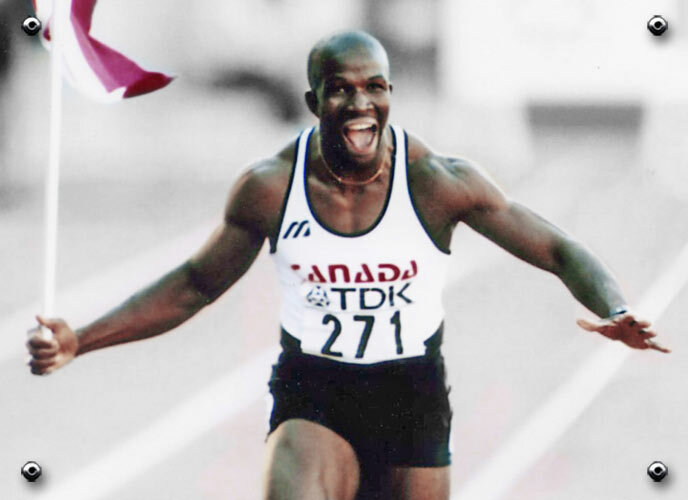 Retired Canadian sprinter Donovan Bailey held the world record for the 100 meters event for record timing for which he won the gold medal at the 1996 Olympic Games. He is the first Canadian sprinter to break the 10-second barrier in the 100 meter event. 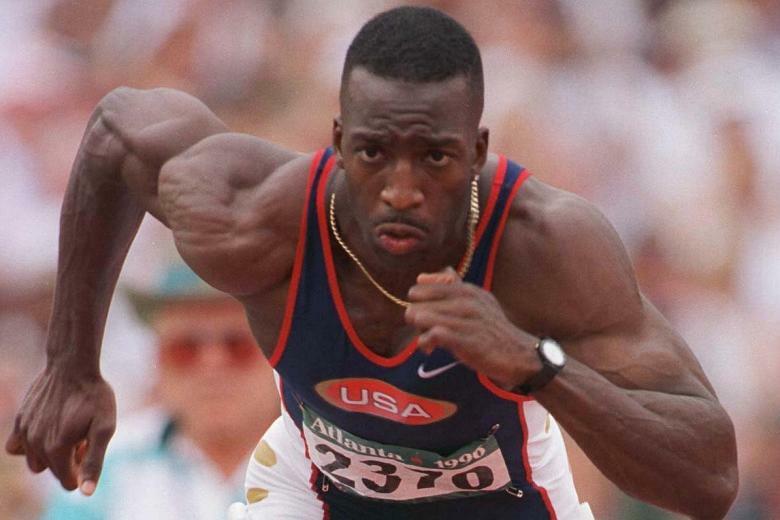 He ran at 27.07 mph at the 1996 Olympic Games, which was the fastest ever recorded at that time. He achieved both the 100 meter sprint and 4 x 100 meter relay events at the 1995 Gothenburg world Track &amp; Field Championships. Bailey also set the indoor 50 meter record within 5.56 seconds in a competition in Nevada in 1996. He was inducted into Canada’s Sports Hall of Fame twice in 2004 and 2008, and was also inducted in the Ontario Sports Hall of Fame in 2005. After his retirement from the active track and field career, Bailey worked for CBC Television at the 2008 Summer Olympics as a track commentator. 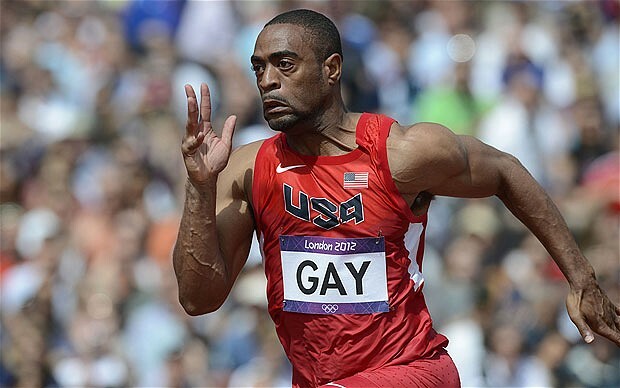 American track and field sprinter Tyson Gay holds the American record in the 100 meter event within 9.69 seconds which also makes him the second fastest athlete ever behind Usain Bolt. He is also considered as the fifth fastest athlete in the 200 meter event for his record timing of 19.58 seconds. Tyson won three gold medals at the 2007 Osaka World Championships for 100 meter, 200 meter and 4 x 100 meter relay events and became the second athlete to win all three events at the same World Championships. He is also a four-time U.S. champion in the 100 meter event. Tyson won the Jesse Owens Award twice and was named IAAF World Athlete of the Year in 2007. He also achieved the ESPY Award twice in 2008 and 2011, and was named Best Track and Field Athlete by the Track &amp; Field News in 2007. Tyson achieved the USOC sportsman of the year award in 2007. Retired American track and field sprinter Maurice Greene was specialized in the 100 meter and 200 meter events. He formerly held the 100 meter world record within his 9.79 seconds record timing. Green won four Olympic medals and achieved five World Championship titles during the height of his career from 1997 to 2004. Green achieved three gold medals at the 1999 World Championships in 100 meter, 200 meter and 4×100 meter relay event. He also achieved the 100 meter title at the 2001 IAAF World Championships. He holds the world record in the 60 meter dash and jointly holds the accolade of being the fastest man over 50 meters. Green also served as the ambassador for the IAAF. He is also known as a popular TV personality and appeared in several programs such as Blind Date and Dancing with the Stars. American sprinter Justin Gatlin is a twice World indoor champion in the 60 meters dash event and an Olympic gold medalist in 100 meter event. His personal best timing of 9.77 seconds in the 100 meter event is one of the fastest performances in sprinting history. He won the bronze medal in the 100 meter final with a timing of 9.79 seconds at the 2012 London Olympics. 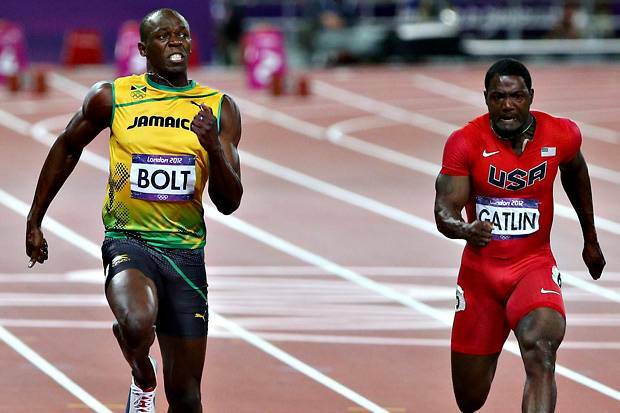 Gatlin achieved the fastest performance of 2014 in the 200 meter event within 19.68 seconds timing at the Monaco Diamond League event on 18 July, 2014. He represented the United States at the IAAF South Korea World Championships after his record performance of 9.95 seconds in the 100 meter at the 2011 USA Track &amp; Field Championships on June 25, 2011. He defeated legendary sprinter Usain Bolt by one-hundredth of a second at the Rome Golden Gala meet on June 6, 2013, and placed just behind Usain Bolt in the 100 meter event at the 2013 IAAF World Championships. Kenyan middle distance runner David Lekuta Rudisha is the world record holder in the 800 metre event and is also the current Olympic champion. He is the first person to cover the 800 meter event with a record timing of 1:41.00. Rudisha currently holds half of the twenty fastest times including three fastest records in the 800 meter event. He achieved the Track & Field Athlete of the Year award a record consecutive three times. He was named IAAF World Athlete of the Year award in 2010. Rudisha achieved the title of IAAF Rieti Grand Prix meeting while achieving the new African record of 1:42.01 in September 2009. He became the youngest athlete ever to achieve the IAAF World Athlete of the Year award at the age of just 21 in November 2010. 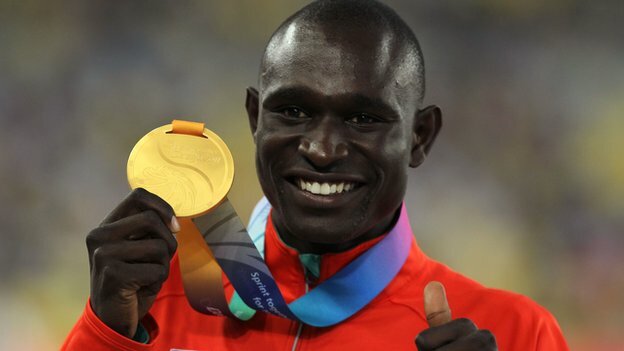 Rudisha was also named Kenyan Sportsman of the Year for his record breaking performance. 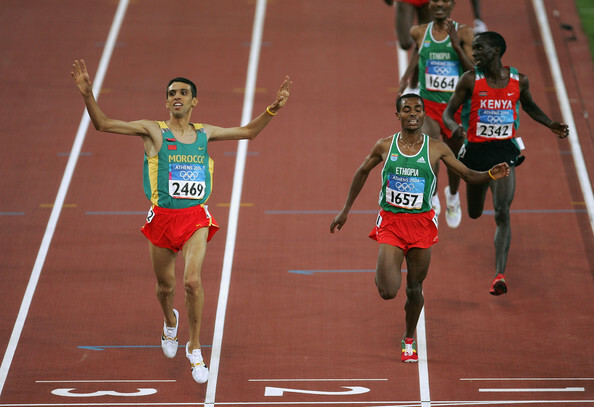 Former Moroccan middle distance runner Hicham El Guerrouj is widely regarded as the greatest middle distance runner of all time, and was nicknamed the “King of the Mile”. He currently holds the world record for the 1500 meter, mile and outdoor 2000 meter events. He is the most dominant middle distance runner since 1995 until his retirement, and has achieved Olympic gold medal twice. Guerrouj was inducted in the International Association of Athletics Federations Hall of Fame in November 2014. He received the ward to humanitarian effort from the International Association of Athletics Federations in 1996 and was named IAAF World Athlete of the Year thrice consecutively from 2001 to 2003. Guerrouj was a UNICEF Goodwill Ambassador and is a current member of the International Olympic Committee. Track runners have great physical fitness and power, and need to have great dedication and competiveness to beat other and create records. 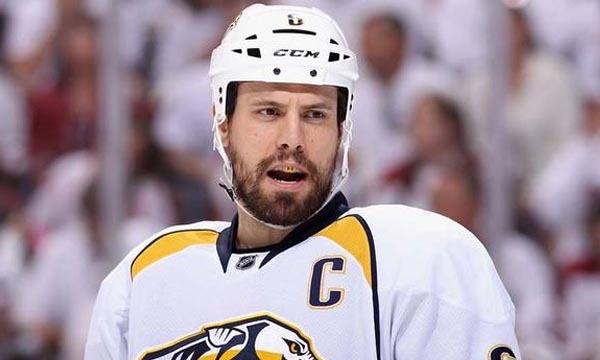 These sports stars have to train diligently and devote huge time to increasing their speed and tenacity, as well as physical fitness through long hours of exercise. Sports fans are hopeful that more and more medals will be brought home by track runners, and they will set new records.